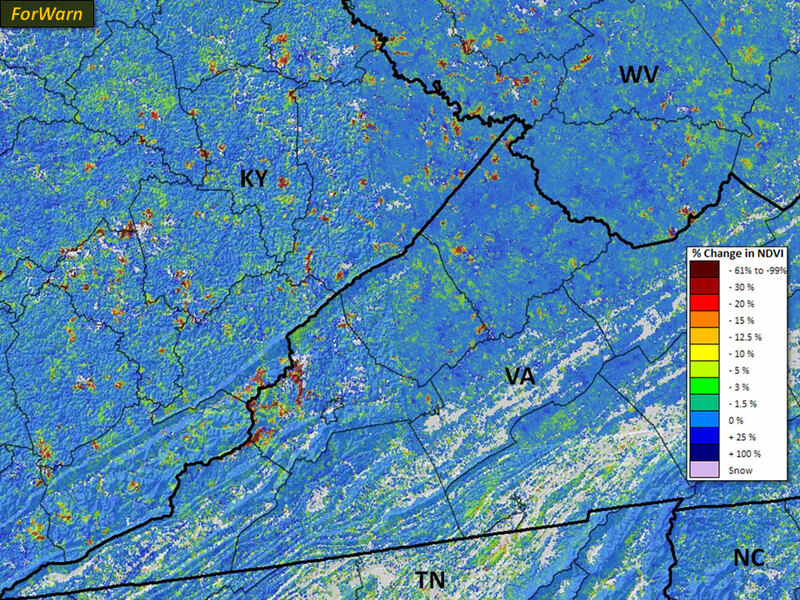 Deforestation for strip mining is common practice in the coal regions of eastern Kentucky, Virginia and West Virginia. The image below shows areas where forests have been removed for mining over the last decade (left). Using a one-year baseline, it is possible to map areas that are both more and less vegetated on a shorter time scale. This maps where mining activity has been active, where succession or reclamation is taking place. The long term baseline reveals the cumulative effects of this disturbance over the decade.